How cute is your baby? If your baby can light up the room with a cheeky little grin, then he or she might have exactly what Next and Prima Baby Magazine are looking for in their next “superbabymodel”. The NEXT Baby Boutique Model Competition, in association with Prima Baby Magazine, is looking for the cutest, most photogenic babies and toddlers in Britain. If you think your little one will melt their hearts, go to http://facebook.com/nextonline and enter your baby’s best photo in the competition. 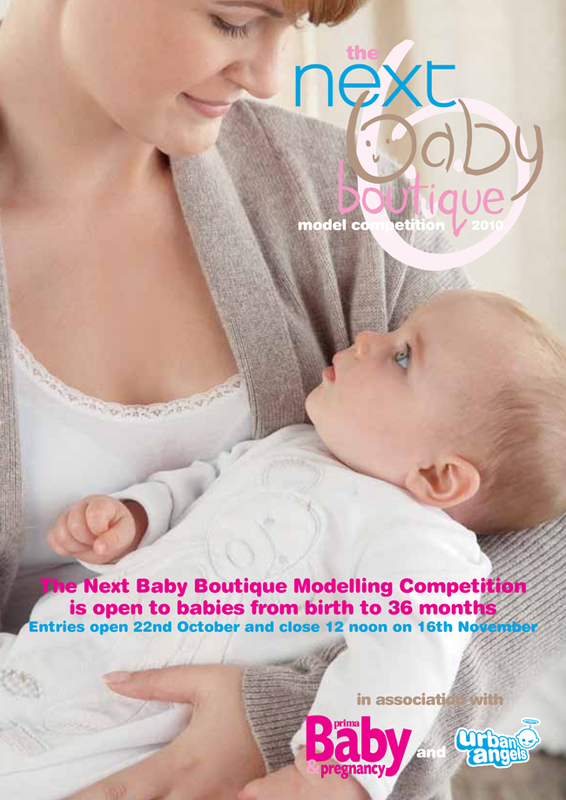 The winners will receive £500 of Next vouchers, a 12 month modelling contract with Urban Angels, and take part in a photo shoot with Next and Prima Baby Magazine. To enter, and to read the full terms and conditions, go to http://facebook.com/nextonline. Definitely going to enter my little “angels” into this – a little extra income to offset those nappy costs!